I believe in timeless fashion, in purchasing better-quality items less often. In creating pieces that are environmentally and ethically conscious, rather than trend-driven. 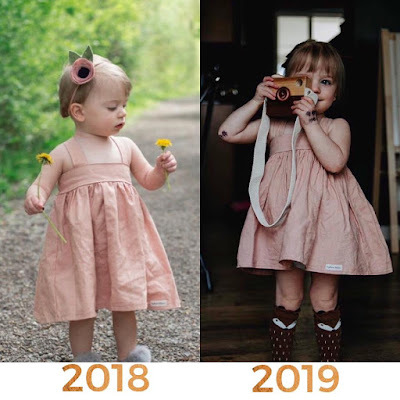 Through Daydream Believers I modify classic clothing patterns to create pieces designed to grow with your child, so you can enjoy them and pass them on for many seasons. By hand crafting each item myself, I ensure these garments are durable and lend themselves to repairs, not disposal. While the process is time consuming and the amount of clothing I create is limited; I am confident it is worth it. Last year's dress is this year's tunic! High Quality, Handcrafted clothing designed to grow with your girl! That is Daydream Believers!